Sixteenth Note Flags - What is and what isn't acceptable? Sixteenth Note Flags – Do you need a degree in art to draw those little curved sixteenth note flags or will a stick flag do? Are you often frustrated with how fancy the font is on printed music and how simple the actual hand printed music needs to be? Alas, Finale does not come with a “do it simple like this” font, so I'm going to do my best to show what is and isn’t acceptable when writing (or drawing) the single sixteenth note flags. Dr. Scott Brubacher of the Royal Conservatory of Music shares his thoughts below. 1) The flags do not touch the notehead. 2) The flags are always placed on the right of the stem. UMT Tip: Yes, in printed music, it often looks like the flag on a descending stem is touching the notehead. This is simply because typesetting programs use a uniform stem length. When a stem is descending, the uniform flag size will place the flag so that it does touch the notehead. On an exam, or in their theory, if the student writes the flag so that it touches the notehead, it will be marked as incorrect. 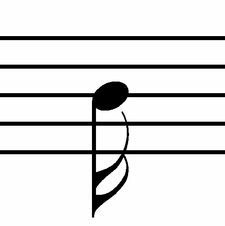 1) The stem is approximately one octave (an 8th) in length. 2) Each flag is approximately a 5th in length. The key word here is “approximately”. No one will be measuring the stems or flags with a ruler. However, if it “looks” too small or too big, then it probably is! First: Let’s look at some examples of printed descending single sixteenth note flags. Which are acceptable and which are not acceptable? 1) Incorrect – the flag is touching the notehead. 3) Incorrect – the notehead is on the wrong side of the stem. Second: Here are some examples of printed ascending single sixteenth note flags. Thoughts? 1) Incorrect – the stem is obviously too long. 2) Incorrect – the stem is obviously too short. So how can we teach our students to write the single sixteenth note flags? The easiest way is the “line” way. Simply use straight or slightly curved angled lines for the flags. Third: Here are some examples of hand drawn ascending single sixteenth notes. Are they correct or incorrect? 1) Both flags are angling correctly (Stem up, angle down; stem down, angle up). 2) Both flags are the appropriate length. 3) The furthest flag is joined to the tip of the stem and the 2nd flag is joined approximately a 2nd or 3rd apart from it. Fourth: Let’s have some fun. How about these examples? Are you ready for this? They are all incorrect! Why? 1) The flags are too long (they go below the notehead). 2) The flags are too short (they have a serious short factor happening). 3) The two flags leave the stem at the same location (I call this the split end flag) and do not angle correctly. 4) The flags are straight, with no angle at all. They can’t just stick out to the side like this as that is the flag location for joined sixteenth notes. Fifth: And finally, here are 4 examples of acceptable (correct) hand drawn descending single sixteenth notes. See? You don’t need a Master’s Degree in Art. Just remember KISS – Keep It Simple Silly – and you will do just fine. 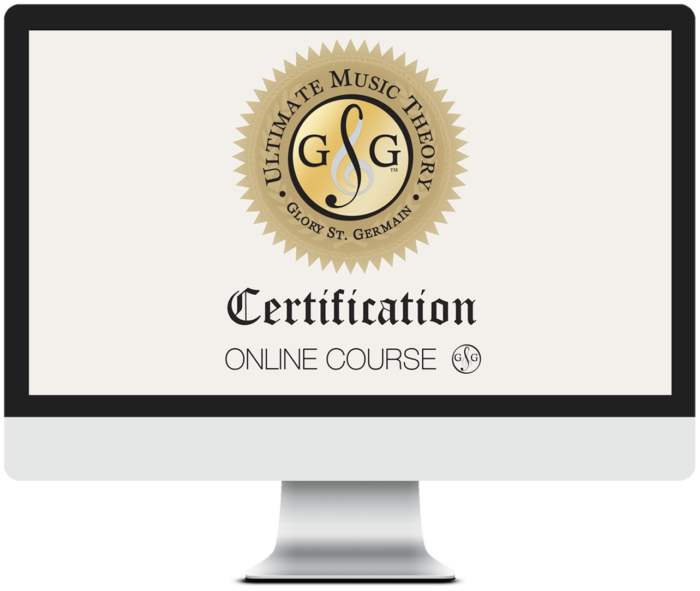 Check out the Music Theory Worksheets under the Free Resources. There are free Activities for each worksheet, and I’m very proud of the How to draw a Treble Clef and How to draw a Bass Clef Activities. P.S. – Join the Conversation! What else can I help you find a simple way to write or draw?